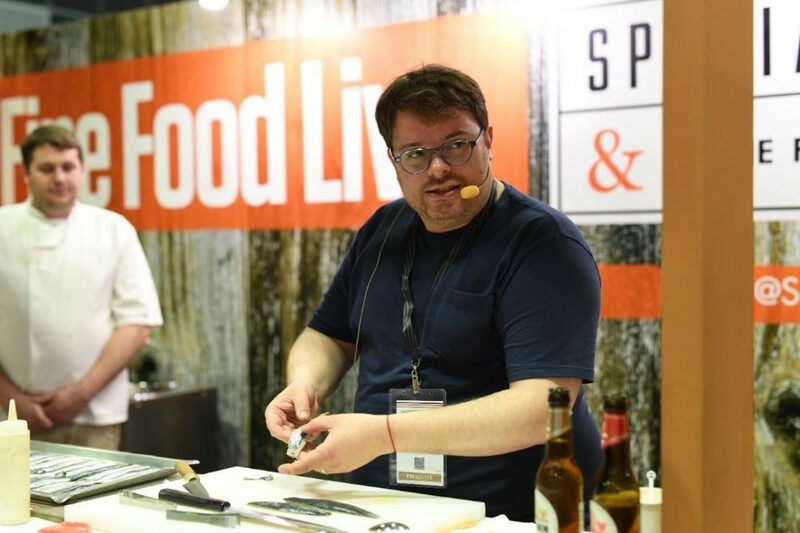 SINGAPORE – Speciality & Fine Food Asia (SFFA) is proud to work with World Gourmet Summit (WGS) – the region’s foremost gastronomic event – to curate two days of interactive programming on the celebrated Fine Food Live stage at SFFA 2019. The legendary WGS has placed Singapore on the culinary world map since 1997 and has been conferred over 50 international awards; it is the must-attend event on every chef and hospitality professional’s calendar. Bringing in their expertise and direct access to the region’s best talent, WGS will design the Fine Food Live programme on 18 and 19 July. Dubbed the WGS Gastronomic Adventure, the stage is set for both local and international chefs to bring their A-game in interactive Special Guest Chef Demos as well as cook-off challenges – stretching their creativity and ability to shine under pressure. Other programmes to look forward to include a showcase of the newest equipment and products, insightful panel discussions and more. Additionally, WGS, SFFA and RPB Asia will collectively present the Opening Cocktail Reception at Fine Food Live on 17 July, where WGS-selected chefs and partners will present canapés using the exhibitors’ products and ingredients. Exhibitors, VIPs, speakers and WGS partners will be present at this exclusive networking event, providing an excellent platform for potential business and professional opportunities, bar none. The partnership strengthens the show’s industry-led perspective and continued forward-thinking, spurring SFFA forward to present greater opportunities for participating industry professionals and guests. More details on the programming will be announced leading up to the show in July 2019. SFFA and RPB Asia will be held from 17 – 19 July 2019 at Suntec Singapore. Established in 2016, Montgomery Asia is a fully-owned subsidiary of Montgomery. It focuses on the growing Asian market, bringing the group’s flagship events to this region as well as developing new trade shows that meet the needs of the Asian market. World Gourmet Summit (WGS), Asia’s premier haute cuisine festival to celebrate fine cuisines, excellent wines and wonderful dining experiences presents a unique opportunity to relish gourmet dishes sporting a multitude of culinary influences. At the 23rd outing of this month-long food festival, expect another line-up of international masterchefs, along with our brightest culinary talents, serving up dinners, brunches, masterclasses and more in an event not to be missed. Inaugurated in 1997, the World Gourmet Summit is widely regarded as Asia’s foremost gastronomic event. The World Gourmet Summit epitomises the cuisine, wine and dining elements of gastronomy. Internationally recognised, the World Gourmet Summit has been conferred 55 awards in the annual International Festivals and Exhibitions Association (IFEA) ceremony in the United States since 2000. The World Gourmet Summit is organised by Peter Knipp Holdings Pte Ltd (PKH) and supported by the Singapore Tourism Board (STB).